When you need Muscogee County bail bonds, we are ready to help. It does not matter if it is 2:00 a.m., because Anytime Bail Bonding, Inc. professionals are available 24/7. We are open 365 days a year to help secure your release. We understand that being arrested is traumatic. 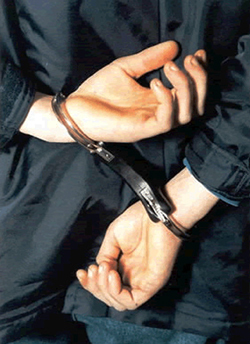 Call us at (706) 405-7508 if you have been arrested, so we can begin the bail bond process as soon as possible. We are located at 823 Veterans Parkway, Columbus, GA 31901. How Much Are Bail Bonds in Muscogee County? Bail bonds in Muscogee County are a percentage of the amount of bail that is set. This amount will depend on the charge. When a loved one’s bail is high, it may be difficult to come up with the money needed in a short time. Of course, you want your loved one released as soon as possible, so contact our trusted team of Muscogee County bail bondsmen to explain your situation. We can often arrange a payment plan for you or your loved one. The bail bonds process in Muscogee County can be a mystery to someone who has never been arrested. Not only are they dealing with the stress of being incarcerated, but they are at a loss as to what to do about the situation. Don’t worry. We have the expertise to handle your Muscogee County bail bonds. They will ask a few questions including the amount of the bail that has been set. A percentage of this amount must be posted to secure your release. If you or a loved one has been arrested, you can contact bail bondsmen in Muscogee County even before your bail has been set. Since there is some paperwork involved, our bondsmen will get the process started so you can be released as soon as possible. We will need to know your name, what the charges are, what facility you are being held at, and the agency that made the arrest. As soon as we get the information needed and get to work, the sooner you can be on your way home. Can a Muscogee County Bail Bondsman Handle My Bond? A Muscogee County bail bondsman can typically handle large and small bonds. This includes misdemeanors such as simple assault, reckless driving, shoplifting items valued at less than $300, and others. We also handle felonies such as armed robbery, burglary, and arson. We provide bonding in the State of Georgia as well as throughout the US. Our Muscogee County bail bonds company is just one of several Anytime Bail Bonding, Inc. locations. We have been in the bail bond business for more than twenty years. We are a member of the Georgia Association of Professional Bondsmen. Our Muscrogee bail bondsmen are available 24/7 to advise you on exactly what is needed to secure your release or a loved one’s release. Simply call us at (706) 405-7508 if you need information or for help with a bail bond.